In timing with our return to the Football League and following the announcement that we’ll again see the iconic Friday night football at Prenton Park it is with great pride that we’ve restored a home shirt that is symbolic with our emergence under Johnny King and the greatest period in the club’s history. The club had faced real adversity in the 80’s and stared oblivion in the face. Now storming up the leagues with Wembley as a second home and WIRRAL proudly across their chests King’s outfit were becoming much more than a deadly submarine. The players who wore this shirt became club heroes. Muir, Steel, Morrisey, Harvey, Bishop, Mungall, Higgins and you can keep going, this team truly put Tranmere on the map and ignited the peninsula. The legacy of that that era is still very much visible and the generation it captured reminds the new generation that anything is possible at Tranmere Rovers. As we currently look to replicate that trip to the moon with a togetherness finally reminiscent of those days, here is your opportunity to indulge in a moment of nostalgia and celebrate those who remain a part of who we are today. 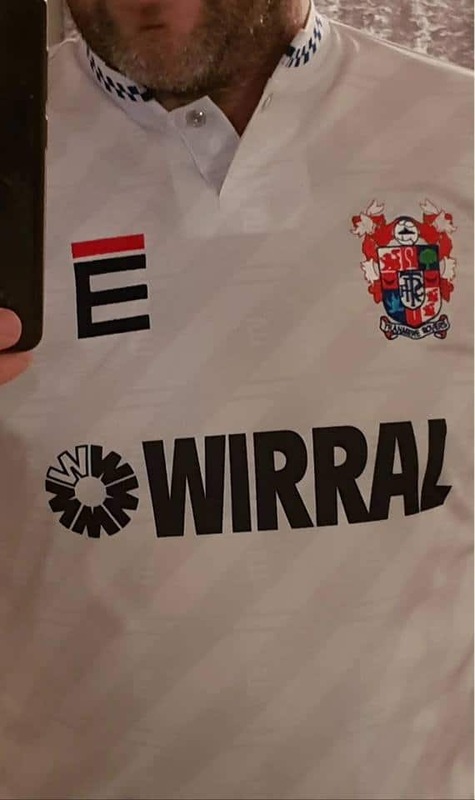 Restored in conjunction with both the club and Wirral Borough Council we offer a limited amount of the shirt that welcomed in the glorious 90’s. The prototype will be available to view at the membership desk in Aldo’s from 1pm until 2:45pm tomorrow. There are a couple of slight alterations that are needed for the final product. After the game we will be in the area just before you enter Dixie’s (Belmont) Pre-sale orders will be available also as we have a few extra. All proceeds from this shirt will be invested in the club and continuing to improve the match day experience for our supporters. Please note that these shirts are extremely limited and due to the cost of the bespoke production will not be purchased wholesale. If anyone would like to purchase a retro shirt between games and lives locally to Prenton Park we have put a very small number in the Club Shop for purchase.